If you are new to duck hunting, a duck call is one of the first things which you should be looking to buy and learn. In this article, we have reviewed some of the easiest duck calls to find you the Best Duck Calls for Beginners. Double Nasty is the Best Starter Duck Call as per our reviews. Buck Gardner Double Nasty is one of the best duck calls to learn on. It is easy to blow, easy to clean and easy on the wallet. The reeds are fitted, the tone board is hand sanded and it looks great with its high-gloss finish. We have reviewed some of the most beginner friendly duck calls to meet different requirements. While shortlisting these duck calls, we paid a lot of attention to ease of use, durability, loudness, authenticity, and effectiveness. If you are simply looking for the Best Budget Duck Call, then you can check out Duck Commander Ole Raspy. Thanks to it’s patented double-reed, friction fit system, it is very easy to blow. As you can see, duck hunters have a myriad of choices when looking for a suitable duck call. In order to select one of the best duck calls, you need to understand what differentiates one from another. Now let’s look at the duck calls which we have shortlisted. 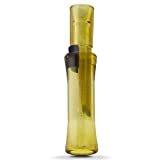 This duck call offers beginners the range of a single reed duck call with the ease of use of a double reed call. It provides a loud call for drawing in ducks as well as a softer call for ducks within shooting range. It is durable and holds up well for a beginner to practice extensively before hunting. While you may still have to practice this call a bit to be fully effective, it has the shortest learning curve amongst all duck calls. The single reed design is easy to blow for beginners. It is also durable and made from a sturdy polycarbonate. The Uncle Si call is durable and keeps its sound from season to season. The raspy sound is produced easily by beginners and is loud enough for use in wide open hunting spaces. If you are looking for a call which is extremely effective in wide open spaces, then you can consider Duck Commander Uncle Si for its loudness. None really. Except that it’s too loud for smaller hunting spaces. Duck Commander Camo Max is versatile and provides a precise mallard duck sound. The call can be loud but provides a quieter sound for closer spaces which is helpful for beginners. The double reed design is easy to learn for beginners. Haydels DR-85 is helpful for beginners as it allows for a full chromatic scale. It is also relatively inexpensive with the qualities of more premium products. 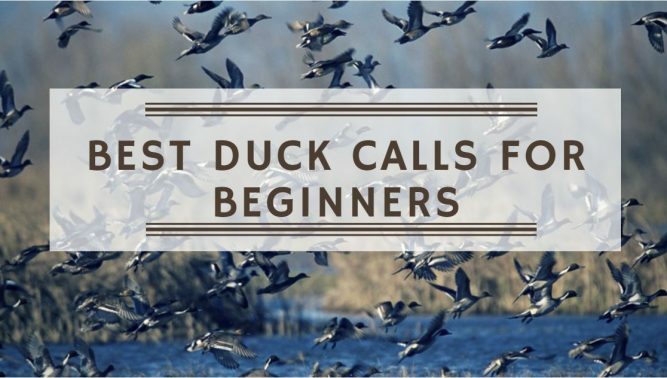 The call is easy to learn for beginners and is quite useful for calling in mallards. 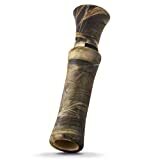 Duck Commander Triple Threat features a triple reed design which helps beginners in producing extremely authentic duck sounds. You can disassemble it for cleaning without any worry as it doesn’t change its sound after reassembly. If you are looking for a call specifically for mallards then Duck Commander Triple Threat should be your preferred choice. Most duck calls are constructed from, plastic (polycarbonate), wood or acrylic. Duck calls made from plastic are the cheapest while the ones made from acrylic tend to be expensive. For beginners, it’s important that the call is durable enough to last practice as well as season and hence we have ruled out the cheap plastic ones. When it comes to duck calls, craftsmanship is very important as a poorly crafted duck call would make learning extremely hard. All beginners should look for a duck call from a reputable company known for its craftsmanship. Hunting on lakes and rivers requires a call that is louder and high pitched so that the notes can travel further. Whereas, if you are hunting in places like flooded timber, potholes, and beaver ponds then a softer call with authentic sound is more important than the reach. If you are hunting in wide open spaces with the wind and flying ducks, then a ‘single reed’ call will help you get the attention of ducks. Although single reed calls have more range and versatility, they are harder to master than double reed calls. Double reed calls have a more realistic sound, suited for closed in hunting spaces like flooded timber and beaver ponds. The double reed sounds more “ducky” and helps you pull the birds within twenty or thirty-yard gun range. Double reed calls are a good choice for beginners are they easier to learn, which helps build confidence in a novice duck hunter. Duck calls are effective only if used correctly. As duck behavior can change based on mood, climate or hunger, a hunter must be able to adapt his call to these moods. 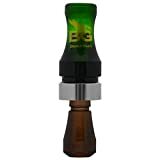 The duck call must be able to catch and hold the attention of the ducks within the hunting zone. Hence you must choose a call that will help you sound realistic and fit the moment. Our choice for Best Duck Call for Beginners is Buck Gardner Double Nasty which is a very good all-around call. Combined with its ease of use, it is simply the best duck for beginners. One of its biggest draws is ‘Spit Technology’ which allows the call to work even when full of spit. If you a fair idea about your requirements and the areas where you would be hunting, you can also look at other duck calls on our list. I hope our review of best duck calls for beginners, helps you pick up a suitable duck call for your needs. If you used any of these calls, then do let us know your experience in the comments section. I’m extremely impressed with your writing abilities as well as the layout to your blog. It’s rare to see a nice blog like yours these days. Keep up the excellent high-quality writing.